Our range of products include electrical & diesel boiler services and laundry equipment maintenance services. We are the manufacturers, suppliers and service providers of Electrical & Diesel Boiler Services. Our electric and diesel boilers are in high demand among our clients. Electrical boilers are well equipped which ensure their high performance. Our team of efficient experts is capable of providing quality maintenance services to our clients. We ensure to give prompt services for our esteemed clients. 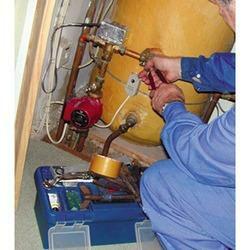 We have managed to make a name for offering such high-quality boiler services. 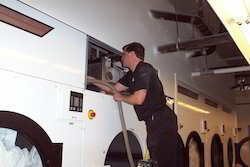 We provide Laundry Equipment Maintenance Services including breakdown maintenance services, preventive services, corrective services and power plant down services to our clients. We maintain a professional approach in providing our services to our clients. We do so by putting emphasis on the quality as well as ensuring to get the work done within the required time frame. We have made a remarkable name for ourselves in this domain.